Joan B. 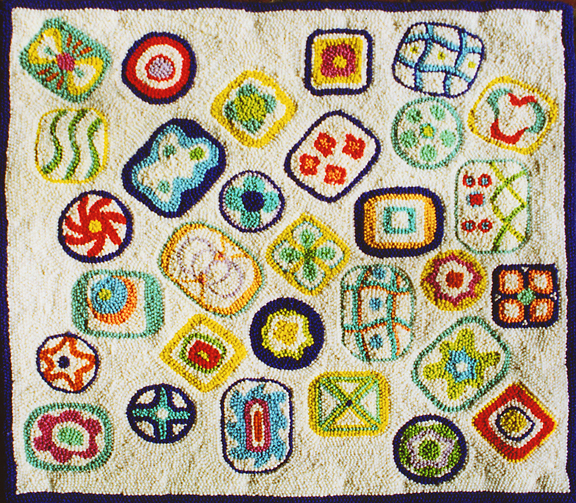 Gates creates hand-dyed, hand-hooked rugs with unique and original designs. Her work has been used by decorators such as Parish Hadley and has been featured in Fiber Arts Magazine. All contents © 1990-2019 Joan B. Gates 5301 Brook Road Richmond, VA 23327 804.266.7480 jbg(at)brook-hill.net. Web development by OCULEUM.